A lot's been happening on the trivia quiz side of this site. The quiz now has about 500 questions and remembers which ones each logged-in user has encountered, so you can play over and over without seeing the same question twice. There are now also some drag-and-drop column-matching questions, such as matching the stage names and real names of entertainers, or the former home towns of current sports teams. I have the most fun writing the multiple-choice questions, though, devising a devilish mix of plausible and outrageous choices. Give it another try and let me know what you think! Gee, Bob... You've had some fantastic experiences. You also know a great deal about many items here in the eMuseum. How have you done with the Trivia Quiz? On a memorable February evening in 1961 in Manhattan, at a nightclub called Basin Street East, in the East 40's, Peggy Lee opened to sell-out crowds. 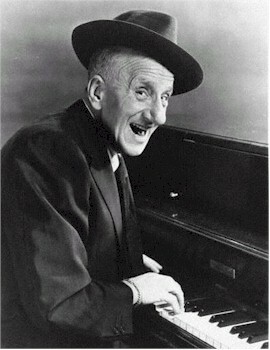 In the audience that evening, for the midnight performance, were Jimmy Durante and his wife, and an entourage including his performing partners Eddie Jackson and Sonny King, Heavyweight Champ Rocky Marciano and one of the Gabor sisters. After finishing her performance, Jimmy and his partners were persuaded to come up on the stage where they performed their entire night club act to the delight of the crowd. They were in town to open their act at the Copacabana the following night...and I was by chance there with a group of friends. Because one of the wives in my party had grown up with Durante's wife in Plainfield, New Jersey, we were invited to come down from the bar area to share the front-and-center table with this group. Also there that night was a reporter from the NY TIMES, and two days later, the paper ran an article about this momentous show-biz occasion. Can you imagine what an amazing experience this was for us?? ?